The Tri-Valley boys and girls track teams traveled to Dover’s Crater Stadium Friday night, April 12, to compete in the annual Dover Tornado Track and Field Invitational. 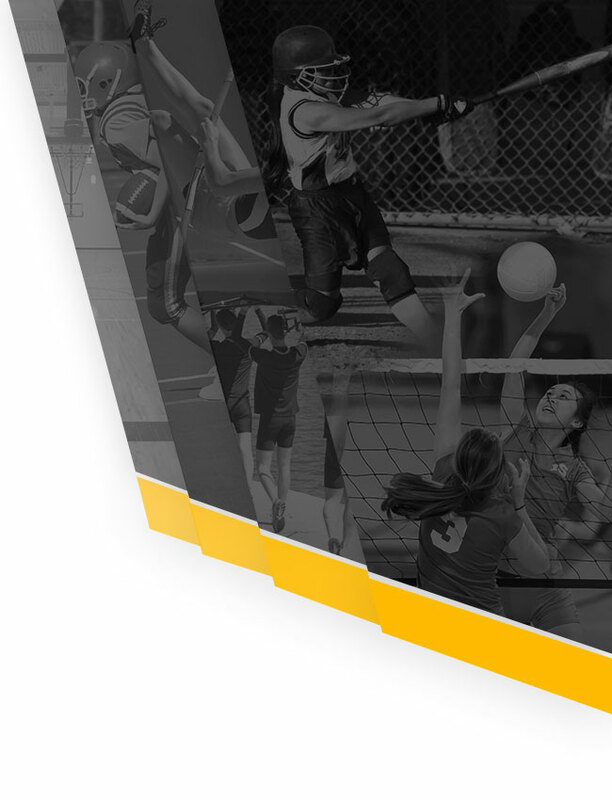 Coach Brad Sims’ Scottie boys track team finished fourth in the ten-team field, while Coach Sarah Meadows’ Lady Dawg track and fielders, finished in sixth place. 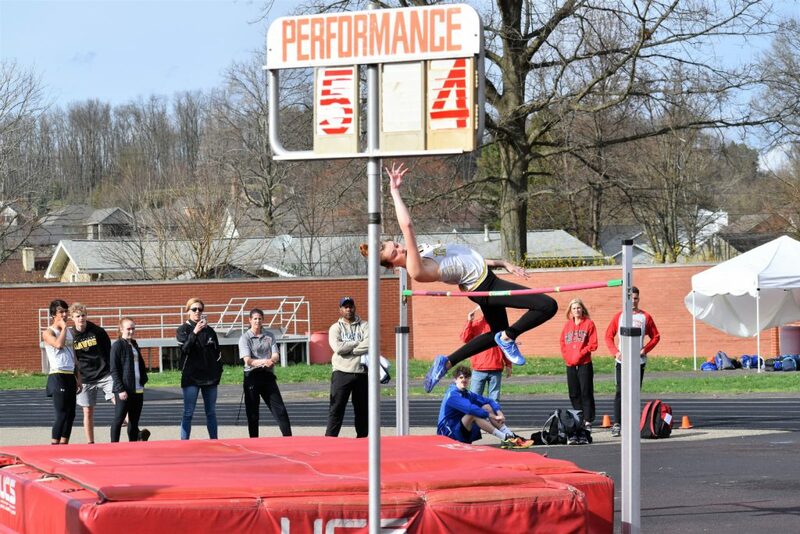 The highlight of the meet for Tri-Valley was sophomore Riley Tracy’s record-tying performance in the girl’s high jump. Tracy cleared 5’ 4” in the high jump (see below) to tie the school record leap of 1991 Lady Dawg track and field alum (and TVHS Athletic Hall of Fame member) Nancy Fry. Also for the girls team, Lauren King was fourth in the 400 (1:05.4) and Claire Martin fourth in the long jump. 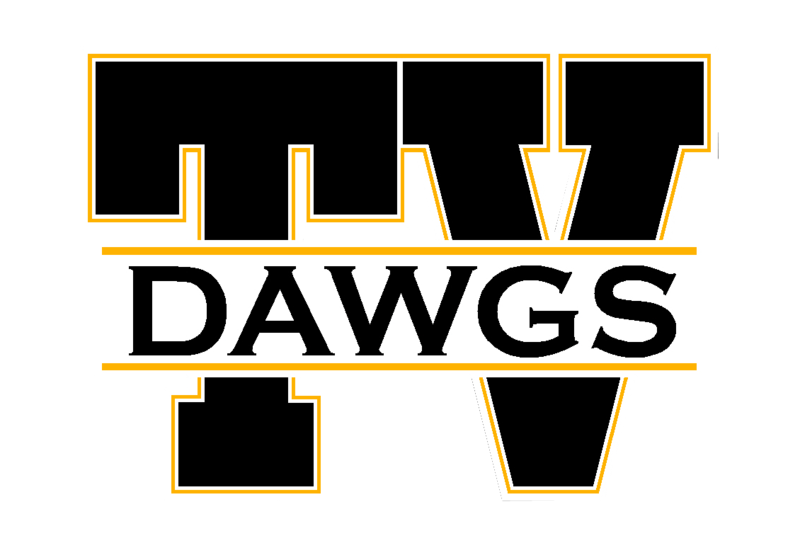 The Lady Dawgs 4×200 relay foursome of Kendall Baughman, Lauren King, Laiken Little and Martin was third (1:53.3), while the 4×100 relay quartet of Martin, Olivia Combs, Baughman and Madeline Moyer was fourth. Dover won the girls meet with 121 and Akron Hoban was second (120), followed by Marietta (72 1/2) and St. Clairsville (57). 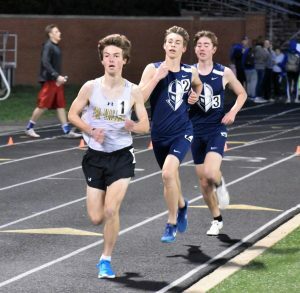 In the boys meet, junior Ryan Meadows (below) won the 3200 (9:54.5) and was third in the 1600 (4:36.5) to pace the Scotties’ to their fourth place finish overall. 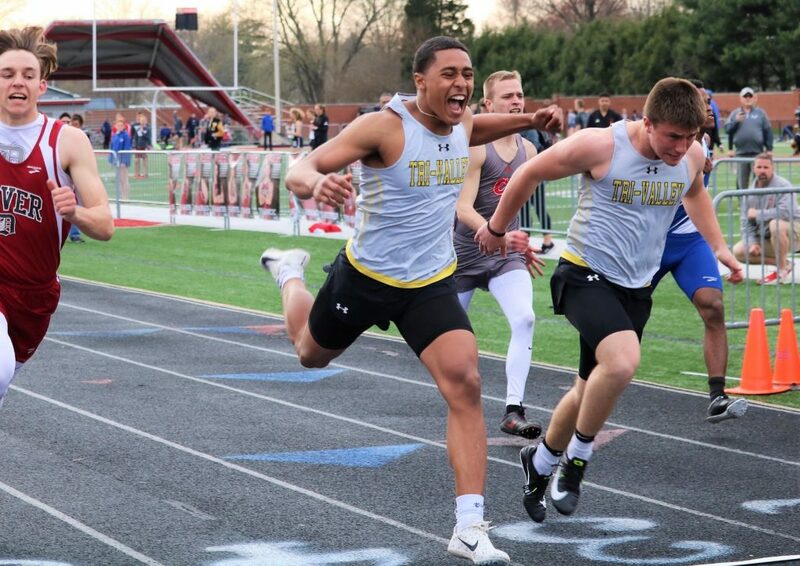 Tri-Valley’s Jordan Pantaleo (:11.41) and Blake Sands (:11.44) (pictured below) were first and second, respectively, in the 100 meter dash. Ben Reiss was runner-up in the pole vault (11-6), Graham Cameron was third in the 400 (:53.47) and Dylan Watson fourth in the long jump. The 4×200 relay foursome of Carson Simpkins, Cameron, Drew Johnson and Cai Reynolds was third and the 4×100 relay quartet of Reynolds, Johnson, Sands and Pantaleo was fourth (:45.38). Cameron, Jakob Frueh, Alex Williams and Reynolds were also fourth in the 4×400 relay. St. Clairsville won the boys meet with 98 and Dover was second (82), followed by Akron Hoban (82), Tri-Valley (77) and East Canton (52). 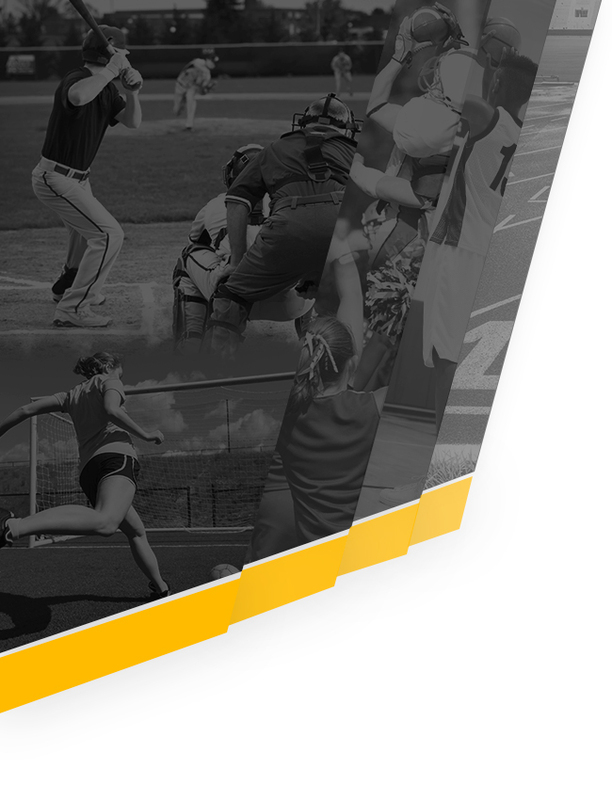 The Scottie track and fielders board the bus to New Philadelphia this Saturday, April 20, to compete in the annual New Philly Gundy Invitational.